Maintaining a church of this size takes funding. We have been fortunate to have such caring and giving parishioners over the years. Thanks to their generosity we have been able to complete a number of major renovations over the past number of years. 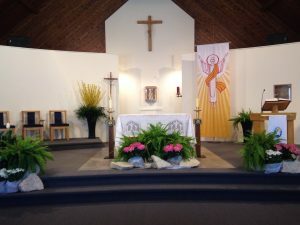 Recent renovations include updating the interior of the Church and Fr. Wayne's kitchen. If you would like to make a donation , please contact our office.